You might remember a few months ago I talked about visiting the brand new soft play centre at my local sports & fitness centre in Bedford. 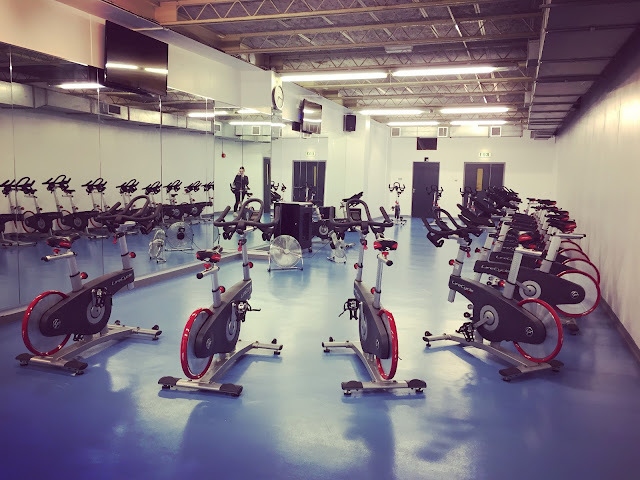 The John Bunyan Sports & Fitness centre has recently had a huge facelift; installing the new soft play, cafe, gym and indoor cycling suite and updating their sports hall, squash courts, basketball court and meeting room. As part of my six month membership to Robinson Pools and Fitness (read my full review here) I also gained access to all the facilities at John Bunyan too - so I made the most of what they had to offer - using their soft play, cafe, gym and exercise classes across my membership. My two favourite classes were the Sunday morning Legs, Bums and Tums workouts and the weeknight Indoor Cycling sessions. 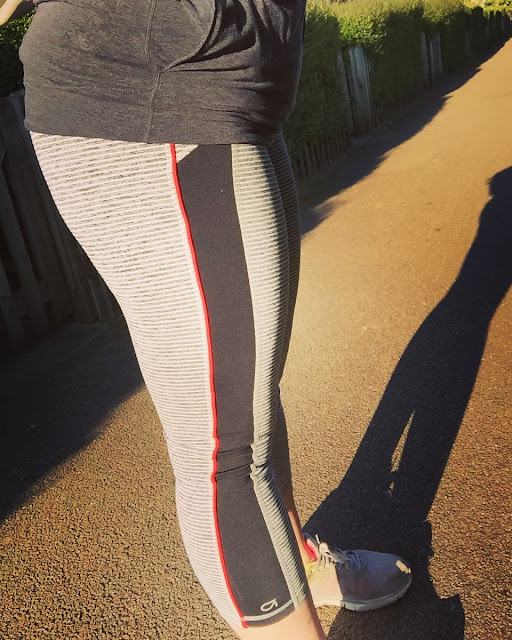 Although I've never been a huge fan of group exercise, preferring a bit of head space and alone time when I get the chance to escape my busy family life - it was a nice change to workout with others. I definitely pushed myself harder in these classes than perhaps I would if I'd been solo in the gym. Plus, I really enjoyed the reassurance of seeing all sorts of body shapes/sizes, genders and ages accessing the classes. I was really impressed with the facilities at John Bunyan; everywhere looks so fresh and new, it really is lovely. The studios for group exercise have a cool sporty/industrial feel, and I found everywhere to be clean and smell fresh (unusual for a gym!). I was really proud of myself after my first indoor cycling session, also known as 'Spinning', I was scared about this class having lots of preconceptions that it would be way too hard for my fitness level, and I'd 'do a Bridget' (Jones) and fall off the bike or something. Thankfully, this didn't happen and I managed the class absolutely fine! It was an intense 45 minutes, but boy could I feel the burn (in a good way) and I managed to keep up with all the levels and speeds the instructor requested, yay me! The other class I tried out was the Legs, Bums and Tums session, which again, I really enjoyed - it was not as intense and sweaty as the indoor cycling, but surprisingly effective, I could feel how much I'd worked a few days after. The instructor was friendly, motivating and explained everything really well - she did the whole class alongside us, so we could see first hand how to do the moves, and correct ourselves if we were doing them wrong. I actually found the class quite relaxing, and really fun - it was cool to listen to loud, upbeat music while working out, and the rhythm really helped with the momentum of the class. The instructor also provided differentiation to simplify or extend the moves depending on your fitness level, flexibility and stamina - this means that a variety of fitness levels could access this class successfully. I also used the gym at the John Bunyan centre on a few occasions. Although smaller than Robinson's gym, I found it to be fully equipped for all my needs and very handily situated next to the soft play centre, so I could workout while my mum kept an eye on the kiddies is the soft play - win win! The gym was so quiet, I had no issues using any machines/equipment I needed, and there was always staff on hand to answer any questions I might have had. I love that access to this centre is an extension to your Robinson Pools and Fitness membership, its such a great little hidden-gem, which is definitely worth using if you're a Bedford local. The color of the oak wood is from light to almost white. The heartwood varies in color from brown to light brown to light brown to brown. In general, the wood is straight, big, rough. After having been treated technically, wood has a high moisture resistance and resistance to water-resistant termite so it is absolutely safe to use. make kitchen cabinets. The utilization of medications for making your body muscles rapidly is a better path for you, yet it tends to be exceptionally hazardous for you on the off chance that you don't choose the best quality medications for this. Forgetting the best quality medications for working out dependably pick the best place like this online site worldfitnesscr.com/ which gives the best medications to lifting weights. I use to have an extremely gifted and solid striker who wants to score objectives. Shockingly, football shoes I additionally have a major hole in objective keeping and he happens to be the best handler of balls in the group.